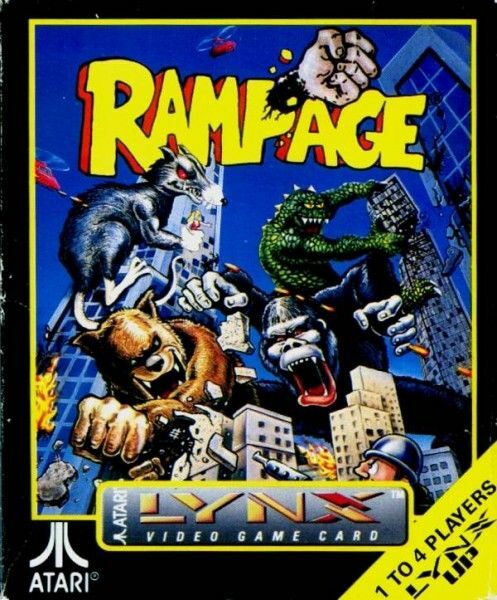 Ryan Engle will do his best to adapt the 1980s arcade game Rampage into a feature movie. Both writers made the 2011 Black List of Hollywood’s best unproduced screenplays. Hit the jump for details. Deadline has no details on the story of Second Act, just the personnel developing the project. Alexander Payne, Jim Burke, and Jim Taylor are producing the project through their banner Ad Hominem, whose 2011 brought us Cedar Rapids and The Descendants. David Greenbaum will oversee the production for Fox Searchlight. This is a different project than the Julia Roberts workplace comedy titled Second Act, though you wouldn’t know it from the first draft of this post. Jones is currently working on the Marco Polo movie set up at Warner Bros., and recently sold his Black List-approved spec script In the Event of a Moon Disaster to FilmNation. Warner Bros. acquired the video game publisher Midway in 2009. In addition to their Mortal Kombat reboot, WB’s sister studio New Line is hoping to turn Rampage into a “possible franchise along the lines of Independence Day,” says Variety. The game mutates three humans into a King Kong-like gorilla, a Godzilla-like lizard, and a giant werewolf. Their fight against military forces results in a lot of smashed skyscrapers. Producer John Rickard (Final Destination 5) is in charge of development. For your education, a clip of Rampage gameplay is embedded below.